Now that the New Year has come and gone, it’s time for restaurant owners and those in the food service world to start thinking about how to implement new ways to keep up with an ever-evolving industry. While 2018 promises to continue some old trends, such as farm-to-table, it will also bring forth some fresh concepts such as a more hyper-tailored experience to the customer. Here are 10 hot restaurant trends to watch for in 2018. Expect to see a lot more restaurants re-structuring with the idea of accommodating a larger volume of delivery and take-out orders. 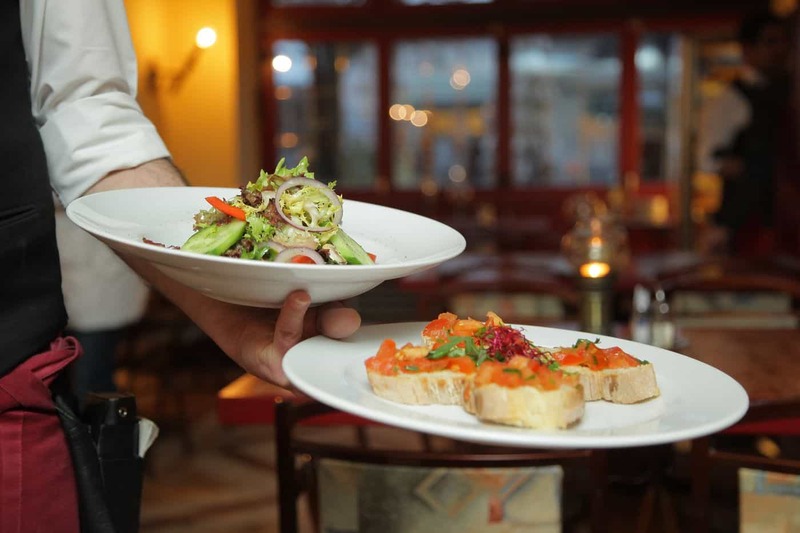 With a growing number of diners using on-demand dining apps like UberEats, GrubHub, Postmates, etc., there is a definitive need for restaurants to cater towards a whole new market to keep up. This year, expect to see a variety of dining establishments implementing new features to help streamline the ordering and pick-up process. This includes special drive-thru lanes for delivery drivers and designated online order pick-up areas. Technology is allowing restaurants to tailor their guests experience beyond just entering notes and allergies into an Open Table account. This year, data will be in the driver’s seat of almost every aspect of front-of-house and back-of-house operations. From personalized menus to item suggestions based on order history, the guests experience is going to be hyper-tailored to in a more specific manner. Floor plan and software programs designed towards restaurant management are also integrating more ways of tracking customer analytics, streamlining the process and making data available at any time for management. It’s a fact that many restaurants will confirm: guests are getting pickier. Everyday diners enter establishments with expectations of a perfect meal despite their various dietary guidelines, restrictions and allergies. This year, expect to see a lot more restaurants getting on board the build-your-own bandwagon (BYO). Giving customers the BYO option hands over some of the power. It allows guests the ability to give a new ingredient a try and customize their meal in a specific manner around their demands. While it won’t win points with the chef, diners will appreciate the ability to choose their own culinary adventure. Although there is still a need for high-detailed service, there is an equal need for the convenience-based diner. This year, many more restaurants will be bringing that convenience tableside by integrating restaurant tablets to the POS system. This allows guests to order their own meals, directly from a digital menu on a table tablet straight to the kitchen. Guests then pay on the table tablet when they are done with their meal, cutting out the need to wait for their server to come around with the bill. This allows for more accurate orders; more customer accountability and quicker table turns. Social media is going nowhere. While most restaurants have managed to navigate their way around putting up a Facebook page and Instagram gallery, they are overlooking an often-untapped marketing opportunity with Snapchat. Market research reveals that on average, eight out of ten adults between the ages of 18-34-years-old actively use a Snapchat account. This year, many more restaurants will integrate Snapchat into the way they advertise to customers, especially within the younger demographic. Expect more restaurants to utilize geolocation technology to bring in new customers. Google now allows restaurants to embed their menus into search results, instead of just the link. This gives restaurants a chance to zone in on hyper-local diners as potential customers through web searches and social media. This year, more restaurants will be using location tagging on social media to display time-sensitive ads and specials for a limited-time while a diner is in a specific area. Even chefs who have spent most of their career building resumes in the world’s most prestigious kitchens have no shame in acknowledging their ability to bring their craft from pristine Michelin kitchens to more fast-casual concepts. This model allures the diner to an experience that is a combination of value mixed with fine dining. It’s a good way for chefs to branch out and serve diners that might not make it into their kitchen otherwise. Brunch is going nowhere. There will never be a shortage of people looking to nosh in that golden hour between breakfast and lunch. This year, more restaurants will be evolving their breakfast and brunch menus to feature more worldly items. Instead of the usual biscuits and gravy, and omelets, look at restaurants to develop more sophisticated dishes featuring daytime fare from Greece, Thailand, Spain and Korea. California and New York City will always be culinary meccas. In 2017, Chicago, Washington D.C. and Nashville showed that they can hold their own in the culinary realm. However, we also started to see established chefs moving to smaller cities or returning to their hometowns. Many want cheaper rent and lower cost of living, while others just want to get back to their roots. One of the cities that culinary talent is trickling to is Detroit. The dining scene in “Motor City” is on the boom, opening the door for other smaller cities to follow suit. Ten years ago, vegetarians and vegans were just starting to have more options in restaurants that weren’t just tailored to the veg-loving diner. Over the last ten years, the restaurant industry has seen everything from vegan pub grub to vegan and vegetarian-based tasting menus. More diners are embracing an all-vegetarian meal or full-course tasting menu with more of a culinary inquisition than a dietary restriction. Many chefs are also embracing vegetables as the main dish, while also including meat components. It’s obvious that 2018 will be the year that the vegetable doesn’t get pushed to the side-dish.